I'm a summer girl at heart and always have been. I'm all about palm trees, pineapples and pools. I love the beach and warm sunny days chilling on terraces with a cocktail in hand. But I also love the snow. I enjoy it more when I'm looking at it with comfort from indoors or being active outside when it isn't too cold. My favourite time in a cold winter is when it is snowing. So when we got the idea to drive off to Andorra with my family, I was more than excited. 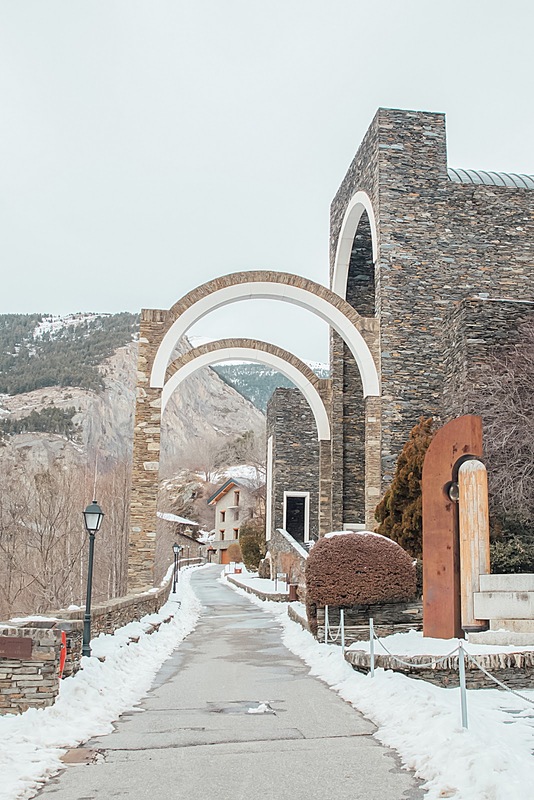 We stayed at the Aparthotel Sant Andreu in Arinsal. 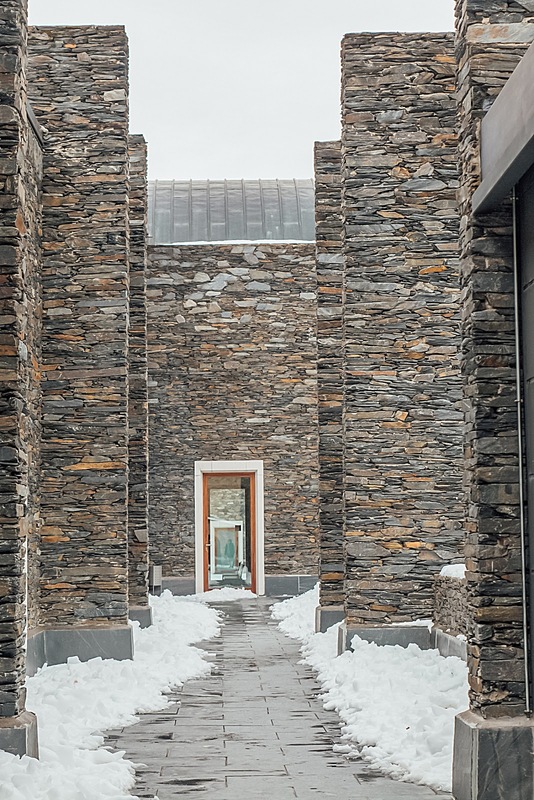 It is in the perfect location about 5 minutes walking to the ski rental and 10 minute walking to the Arinsal slopes. It is a beautiful apartment hotel in which we felt really at home and the staff was absolutely amazing. There is also a spa and gym to which you have free access when staying at the hotel. Some warming up is definitely needed after spending the day outside in the cold. We had such an amazing time I'd definitely recommend it to anyone. 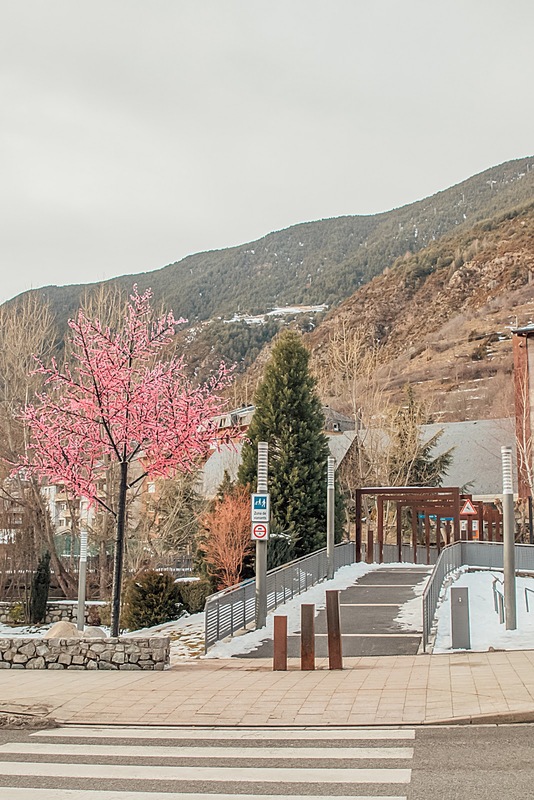 When going to Andorra, it's not only about skiing. There's lots to see even if you're not interested in skiing. 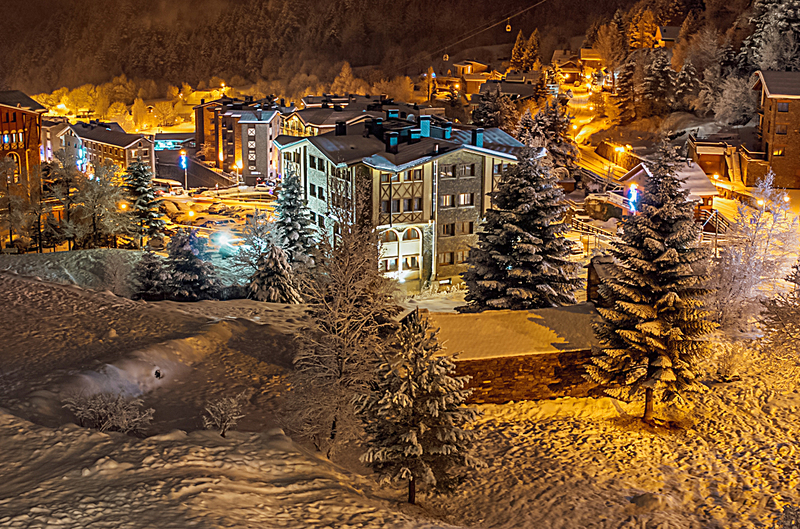 The town Arinsal is extremely tiny so there isn't much to see there, although we did spend some evenings just wondering around and enjoying the snow. So since we wanted to have a balance of skiing & exploring, we decided to drive around and explore the towns. 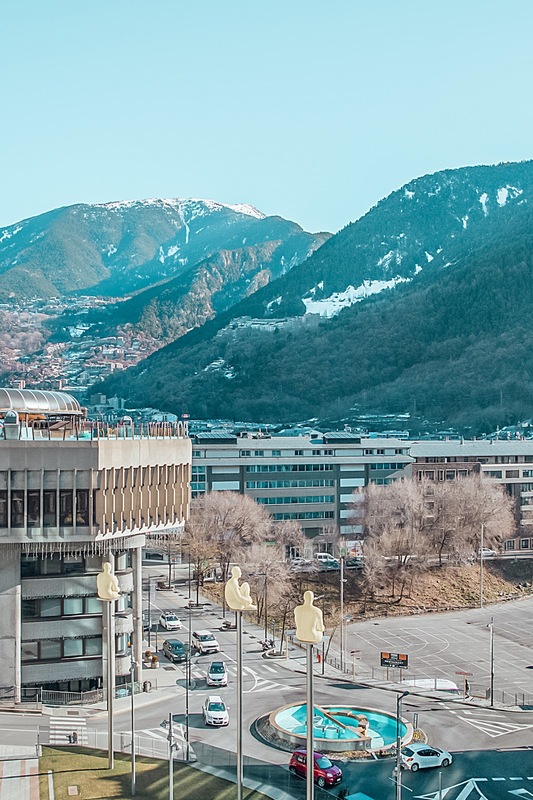 Obviously no trip to Andorra is complete without a visit to Andorra la Vella. We weren't really interested in the shopping aspect of the city, so we just walked around the city center. 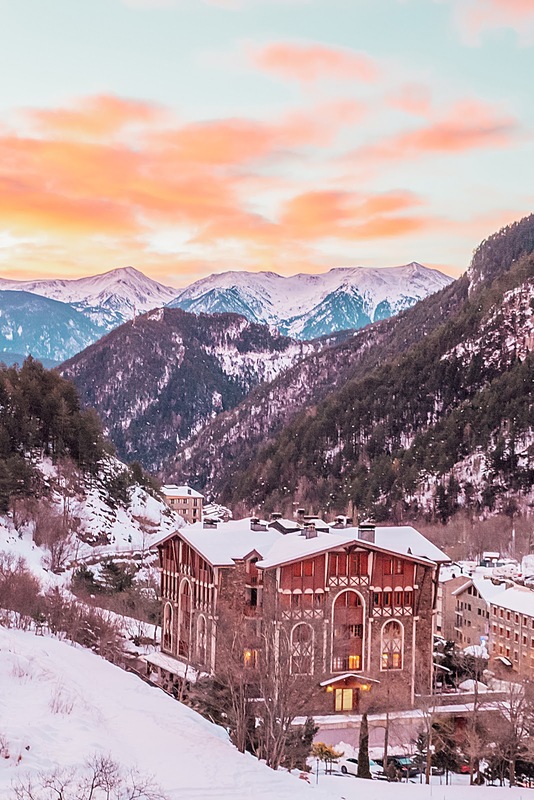 Next we visited Encamp with its beautiful old buildings and the Valira d'Orient river running through it. We also stopped by Canillo and visited the Santuario de Meritxell. It's a beautiful building and the symmetry really caught my eye. We also stopped by Ordino and saw what were the main gates into the city in the past. All the towns are small but beautiful and each have something special. 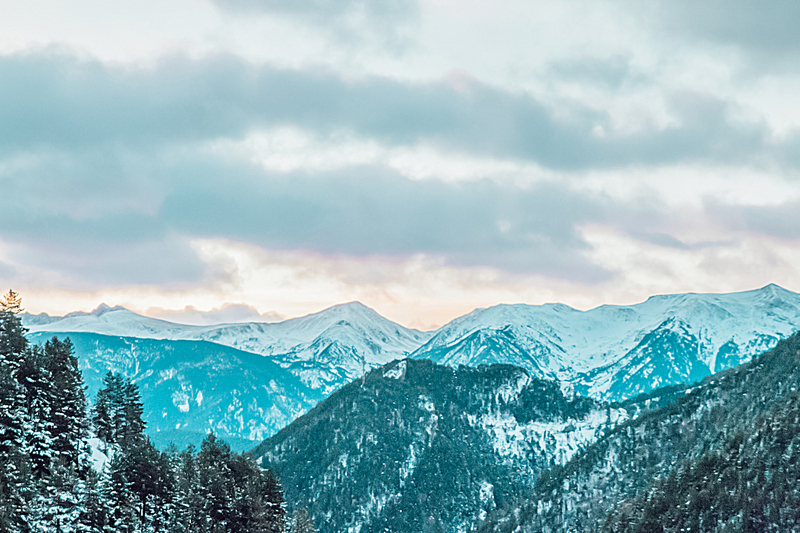 The views to the snow covered mountains are absolutely stunning and a pleasure to photograph. 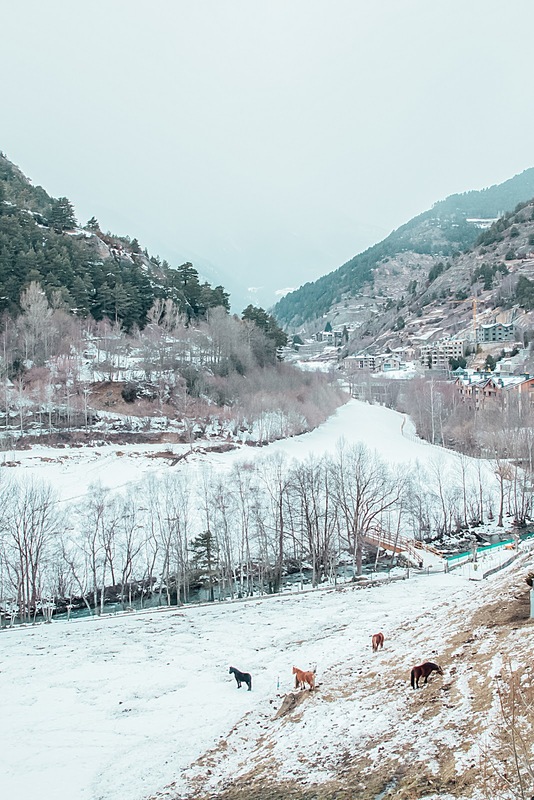 One thing I wish I could do is ride up the gondolas or get somehow to the top of the mountains and take some amazing pictures of the ski resorts and beautiful mountains in Andorra. If anyone has any suggestions on how this can be done, please let me know. Do you live in a city/ town where it snows? 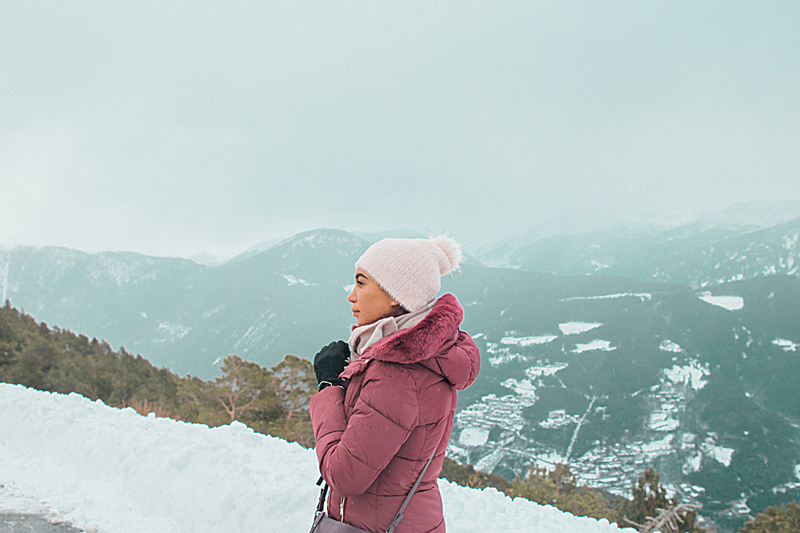 What's your favourite thing about the winter?